Choosing a Medicare Part D plan is not easy for patients--and their choice has a substantial impact on the health of independent community pharmacies. We've been working with our patients on a program that helps them to compare Medicare plans in seconds, to find a plan that works for them but still enables them to get the attentive, local service of their independent pharmacy. Learn more here. 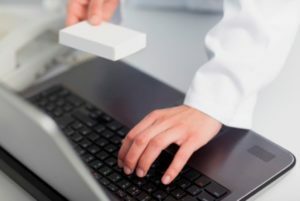 Medication synchronization programs increase prescription volume substantially, putting more money in your pocket from your existing patient population. How? It improves adherence. The result is a double win: better patient care and, as a key indicator of performance, better adherence can impact network inclusion and reimbursement rates. Learn more about refining your Med Sync practice here. Because we own our own stores, we can give you meaningful detail on your expenses and help you to understand how you compare to your peers. We'll show you some of the key performance indicators that impact your bottom line, among them: average prescription price, percentage of generics compared to overall, how much inventory you carry. Download our preferred vendor list.